If your life doesn't have enough animated images in it, Tumblr has announced a new feature that let's you watch an endless-stream of GIFs in full-screen mode. The new Tumblr TV will let anyone, including those who don't have a Tumblr account, search for GIFS or view popular ones, and, like a TV, you can play, pause and skip forward or backwards. The GIFs play in full-screen mode, and skip to new ones after a few loops, with tags and original poster information added, which you can also click through to. There are a couple of ways to access Tumblr TV, with the easiest being to search through Tumblr's dashboard, adding 'gif' to the end of your search and hitting the TV button that pops up. 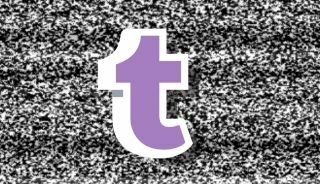 If there is a specific genre of GIFs you want playing, you can also amend the Tumblr TV address - tumblr.com/tv/cats, for example. The main Tumblr TV site will play popular GIFs continuously until you select a tag or do your own search, which makes for an interesting viewing. Tumblr users can also turn their own blog into a Tumblr TV channel by changing the URL and adding "/@yourblogname."